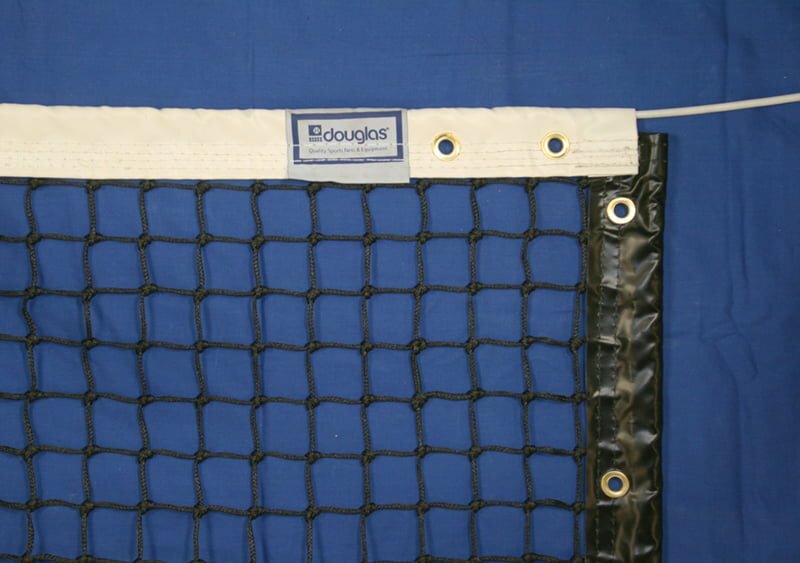 The Douglas® USA manufactured, TN-45 meets the USTA requirements for official size (42’ x 3’6”). 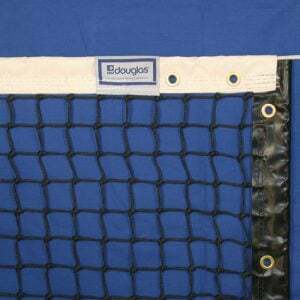 Net is constructed of 1-3/4” square mesh, 3.5 mm braided solid core polyethylene. Material is weather resistant and unsurpassed for durability boasting a 325 lb break strength. The 2-Ply headband is constructed of 65 oz vinyl coated polyester (20 oz./sq.yd.). Vinyl bottom tape and side pockets of headbands are polyester based and won’t shrink, mildew or rot when exposed to the elements. All headbands have been lock-sewn with four rows of 32# white polyester thread. The side and bottom tapes are double lock-stitched with black polyester thread. 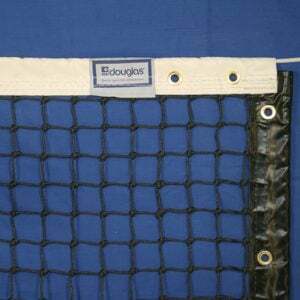 All Tennis Nets include 1/2” Fiberglass side dowels. 5 Year Warranty. Please contact me with more information about: "TN-40 Tennis Net, 3.5mm with 2-Ply Vinyl Headband, Made by Douglas® in USA".